This is the house of Henry David Thoreau. He lived his whole life in Concord although not all of his years were spent in this house. He was born in a different house, lived for two years as a handyman for Ralph Waldo Emerson in his house, and of course famously spent two years and two months living on Walden Pond. His family produced pencils behind the house that were generally thought to be America’s best-mostly because Henry had researched german pencil-making techniques. A common mistake is the thought that Henry wrote “Walden” while living on Walden Pond.He actually wrote “A Week On the Concord and Merrimack Rivers”there-an account of a week long trip he took with his brother and a remembrance of John after he died quite suddenly in 1842.In actuality, he wrote most of “Walden” while living with his parents in the third floor attic room of this house. 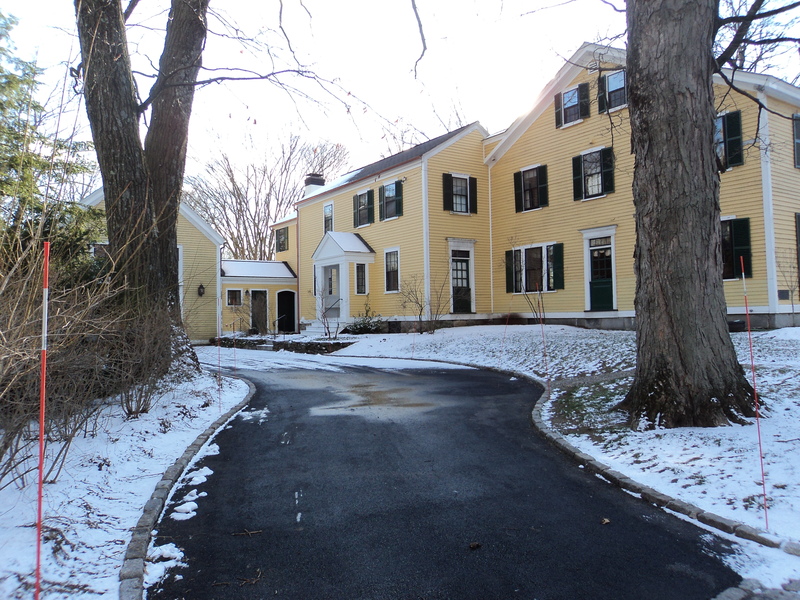 The house is called “The Yellow House” by Thoreau scholars and was later acquired by the Alcott family. They added the west wing and many Transcendentalist meetings took place there. The color is known as Thoreau yellow-a special mix-but can be obtained from PhillipsDES.com. 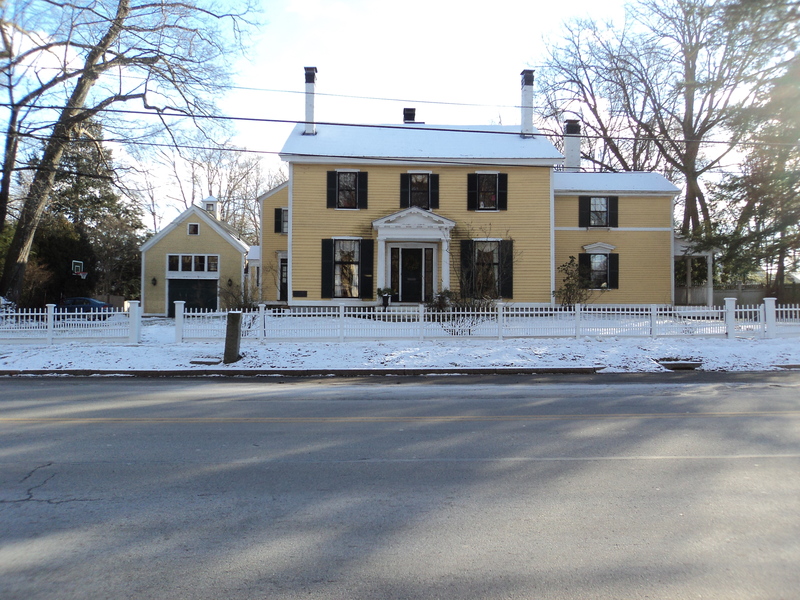 This entry was posted in historic homes, paint colors, renovations, travel and tagged Concord, exterior paint colors, Home, Home & Garden, paint colors, travel. Bookmark the permalink. Thanks for this great newsy! Funny, the house is exactly as I pictured it from reading books by and about Thoreau! Of course, I could tell in a heartbeat the wing that was added! I just got back from Cozumel – scuba certified at last!